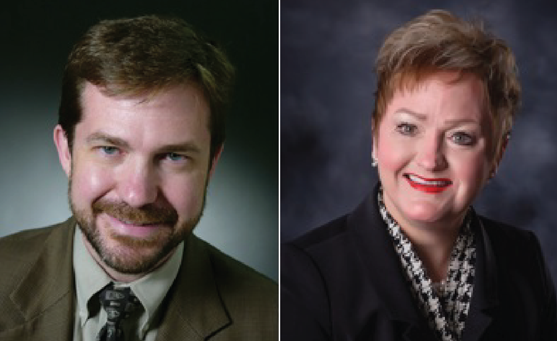 Brian Osborne and Jeanice Kerr Swift are finalists for the AAPS Superintendent position. After two days of interviews, the Ann Arbor Public Schools Board of Education announced two finalists in the search for the next AAPS Superintendent. Of the six total semi-finalists, Brian Osborne and Jeanice Kerr Swift were selected by the board to continue on in the interview process. There will be more opportunities for community involvement on Monday, July 15 and Tuesday, July 16 next week. Exact locations and times are yet to be determined. Dr. Brian G. Osborne has led for six years as superintendent of schools in South Orange and Maplewood School District, New Jersey, a diverse and thriving district of 6,760 students in six elementary schools, two middle schools and one high school. Through his passionate commitment to all students, the district has increased student learning, expanded arts and enrichment programming, reduced achievement gaps, enhanced the use of technology, improved curricular rigor, instituted full day kindergarten, and deepened community and family engagement. During the economic recession, the district decreased the yearly tax impact while increasing educational opportunities and improving student learning. Dr. Osborne served at the executive level in the New York City Department of Education, the largest school system in the nation, for four years as Chief of Staff for Teaching and Learning. There he led a central division of 400 employees and over $200M, including offices responsible for curriculum and professional development, instructional technology, secondary school reform, assessment and accountability, English language learners, special education, and parent engagement. Dr. Osborne coordinated strategic support for 1300+ schools, serving 1.1M students with over 80,000 teachers. He established citywide strategy for academic intervention, including Saturday Prep Academy. Before being promoted to Chief of Staff, Dr. Osborne was the Director of Instructional Technology, initiating mobile wireless tablet computing to school-based instructional coaches, and ground-breaking 1:1 student computing in 20 middle schools. Dr. Osborne began his career in education as a fifth grade bilingual (Spanish) teacher and then cofounded a public high school in the South Bronx that dramatically improved graduation and college matriculation rates. He has also served in district leadership roles in Plainfield, New Jersey. Throughout his career, Dr. Osborne has increased student learning while reducing achievement gaps and expanding extracurricular and enrichment opportunities for all students. Dr. Osborne earned a doctorate in education as well as a master’s in education in administration, planning and social policy from the Harvard Graduate School of Education. He also holds a master’s in teaching of mathematics from New York University, and a bachelor’s of arts in philosophy and religion from Colgate University. He speaks Spanish and has lived and traveled in Mexico, Nicaragua, and Guatemala. Brian and his wife, Karen, have two daughters, ages 10 and 7. Jeanice Kerr Swift, Ph.D. is a lifetime educator, having served twenty-five years as classroom teacher, teacher coach, principal, and district administrator. She currently serves as Assistant Superintendent for Instruction, Curriculum, and Student Services in Colorado Springs School District 11. Dr. Swift works as a passionate advocate for children, believing each child’s unique talents should be leveraged to meet high expectations for learning and ensure success beyond graduation. Dr. Swift delights in working alongside teachers, support staff, and leaders to improve student performance. As principal of Charles M. Russell Middle School of the Performing Arts and Science, the school was designated a National Trailblazer School to Watch and received the Governor’s Distinguished Achievement award for improved student achievement. As a district administrator, Dr. Swift has led improvement efforts focused on teaching and learning, and, along with the Colorado Springs team, has achieved improved student performance outcomes. Under Dr. Swift’s leadership, School District 11 recently received the Rising Star Award from MIND Research Institute for exemplary implementation of math programming resulting in improved elementary math achievement. Dr. Swift earned a Bachelor of Arts in Education, with a major in English and a minor in Spanish, at the University of Texas, Arlington. She earned a Master’s in Curriculum and Instruction at the University of Colorado and a Doctor of Philosophy in Educational Leadership at the University of Denver. Dr. Swift believes that every child deserves a quality education and is committed to extending and enhancing the excellence for which Ann Arbor Public Schools is already known.